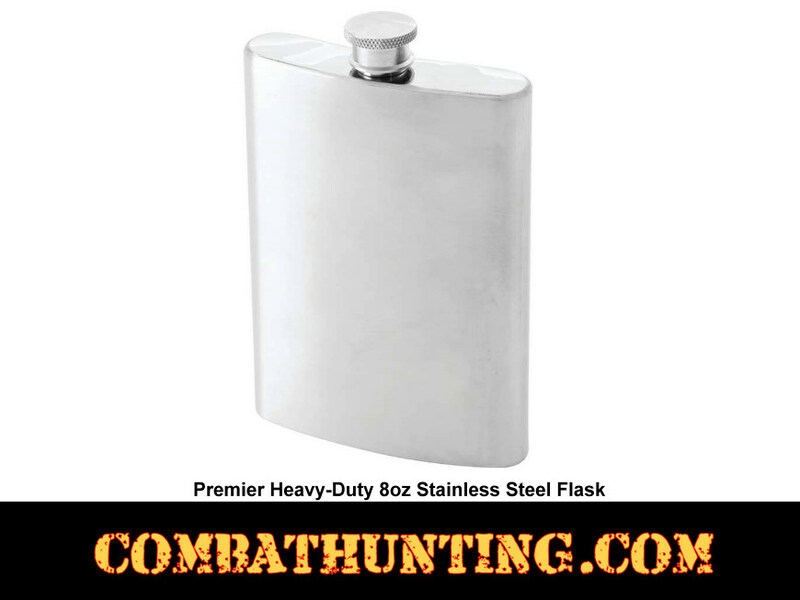 This Premier Heavy-Duty 8oz Stainless Steel Liquor Flask Features screw-down cap, and brushed finish sides with polished top and bottom. 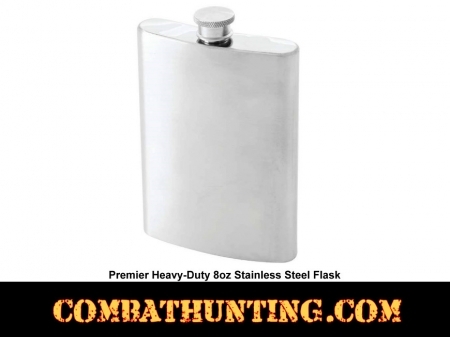 Liquor Flask Measures 3-3/4" x 3-7/8" x 3/4". Limited lifetime warranty.